In honor of me turning 30, I made mix CDs of my favorite songs from each of my 30 favorite musical artists/groups. Read the introductory post for more background information on my 30 at 30 project. Reminder: there is no scientific rationale for this list. They’re simply my personal favorites. 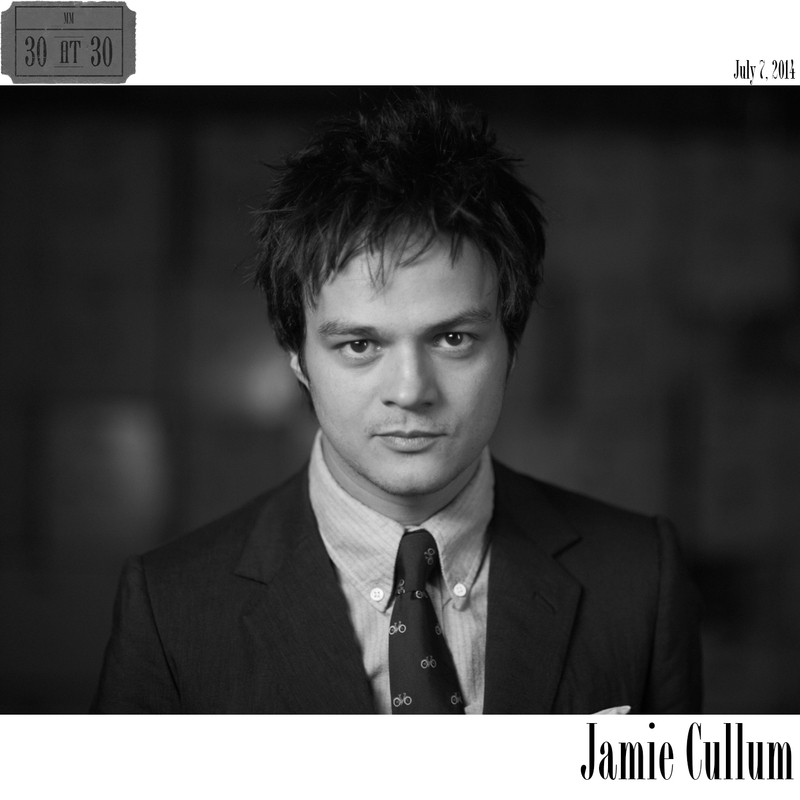 Coming in at number 10 is Jamie Cullum. Jamie Cullum’s Twentysomething and “Twentysomething,” the album and the song, respectively, were among the most important musical influences of my past decade. Fittingly, the album was released in 2004 when I was turning 20 myself. As I traversed the decade I found myself relating to many of the ideas sung about in that song as well as themes found elsewhere on the album. When it came time to assemble the ultimate Cullum compilation, I knew that Twentysomething would factor heavily into the equation. In all, 10 of the album’s 15 tracks made the cut, highlighted by the title track. As the final days of my life as a twentysomething ticked away, I often played this track, singing along “But I’m still having fun and I guess that’s the key / I’m a twentysomething and I’ll keep being me.” The track, which has landed on mixes before, most recently resurfaced on Matt’s Mix 164: 30 > 20, as the track opener signaling the transition into the new phase of life. The album ends with Jay-Z’s “30 Something” and W.G. Snuffy Walden’s instrumental “Thirtysomething (Revisited”). But while Cullum’s signature song and album no longer apply in name, they will always have a spot in my musical rotation. Twentysomething is a rich mix of original and covers that put Cullum’s ability as a crooner on full display. That term—crooner—is typically reserved for the likes of classics like Frank Sinatra and Dean Martin, but Cullum is the 21st century’s answer to those legends. Although he skews pop a little bit, Cullum seems to be most comfortable and most effective in jazz mode. From a chill, mellowed out rendition of Radiohead’s “High & Dry” to a jazzy twist on Jimi Hendrix’s “Wind Cries Mary” to the solemn, heart-wrenching version of Jeff Buckley’s “Lover You Should’ve Come Over” Cullum’s covers give the originals a run for their money. The covers are great, but some of the original tracks are even better, led by “Twentysomething” which may just make a run at the number one song on a future 30 at 30 countdown for individual songs.